Last year the BBC commissioned a number of TV shows as part of its mission to keep hold of teenage audiences, by targeting them with shows like The A List. The 13-part drama draws on the supernatural elements that made Netflix’s Riverdale and Stranger Things a huge success. And whilst it deals with the same struggles of friendship, romance and identity of those US shows, it is also distinctly different – it’s British. “I think the diversity of it and representation does a lot of the work,” lead actress Lisa Ambalavanar told the BBC. “I watched American shows like The OC growing up, but there wasn’t anyone who looked like me in it. This was something reflected by executive producer Anne Brogan, who added that it was important to create a show “with a diverse cast”. “It was a discussion with the head writers from the very first day, for a teen show it’s important the characters you see on screen you connect with powerfully,” she said. Set in a holiday camp in the Scottish Highlands, it sees a group of 12 people come together for the summer and learn to navigate each other’s egos and insecurities. But in time, the teens realise a number of secrets that lead to a dark and fascinating twist. 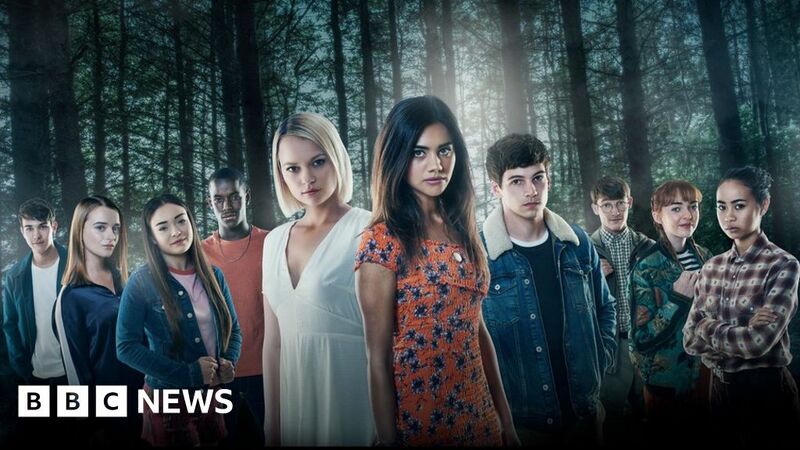 “I think the exciting thing for me was that in the script you could see it wasn’t just a teen drama, it has a foothold in horror and rom-com, it’s funny and it’s dark – there’s a lot of different layers to it,” said Jacob Dudman, who plays Dev. “One of the lovely things about The A-List is that it’s approachable and appropriate for people slightly younger, while still being a cool show. Does the Sabrina the Teenage Witch reboot live up to the hype? For Amy Buscombe, the BBC’s commissioning editor for children’s drama, there was a focus on character development that explored a range of themes, including mental health and sexuality. “You can look at something from 10 years ago and realise we’re much more aware of diversity in all kinds of forms now, and about representing everybody,” Amy told the BBC. “In developing this show, it was about everyone having a journey, not just the hot guy and the hot girl – everyone had to contribute something. “With mental health it was important to acknowledge what a lot of people are going through and how it might affect them. Most importantly, for this show to work it would have to compete for audiences that may already be sold on streaming services as a way of instantly accessing content. “It’s about sophistication of story-telling because everyone has grown up on shows like Harry Potter with really high-end production values,” Amy added. But she said the key to the BBC succeeding in the face of its giant competitors was to “have fantastic writers and spend a lot of time on the scripts – that’s where your money is best spent”. The A List is available to stream now on the BBC iPlayer.